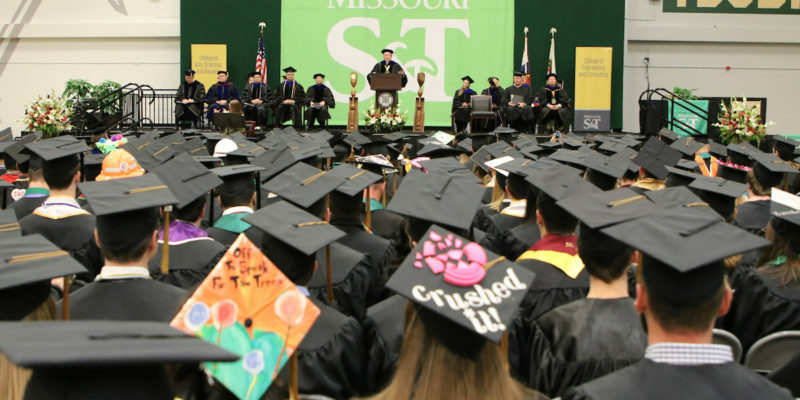 Missouri S&T will hold three commencement ceremonies this spring. Ceremonies will be held on Friday, May 17, and Saturday, May 18, in the Gale Bullman Building, located at 10th Street and Bishop Avenue in Rolla. Ten recent electrical engineering graduates will each receive a $6,000 Grainger Power Engineering Award from the electrical and computer engineering department at Missouri S&T. The awards are presented as a reward for academic excellence. Dr. Paul Orscheln, associate vice president for enrollment management and student retention at Missouri Western State University in St. Joseph, Missouri, has been named vice provost for enrollment management at Missouri S&T. His appointment takes effect June 1. Donald G. Brackhahn, former executive director of the Miner Alumni Association, died Monday, April 1. He joined the S&T staff in 1985 and retired 2002. Brackhahn and his wife, Nancy, have been longtime supporters of S&T, the alumni association and Miner athletics. 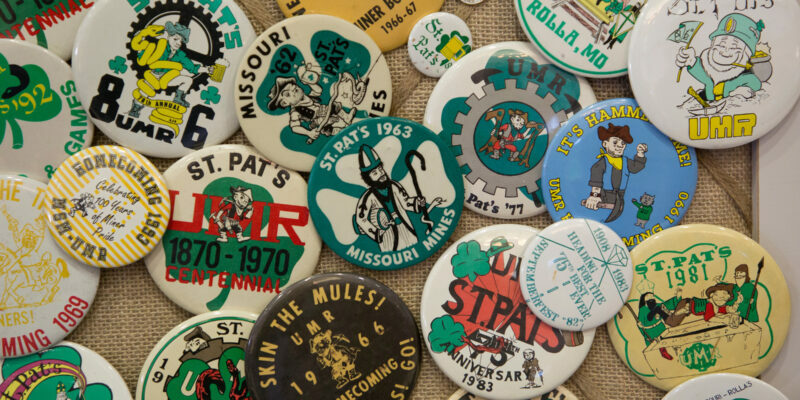 Missouri University of Science and Technology is preparing for the 111th “Best Ever” celebration of St. Pat’s in Rolla, and the 2019 Queen of Love and Beauty candidates have been announced. 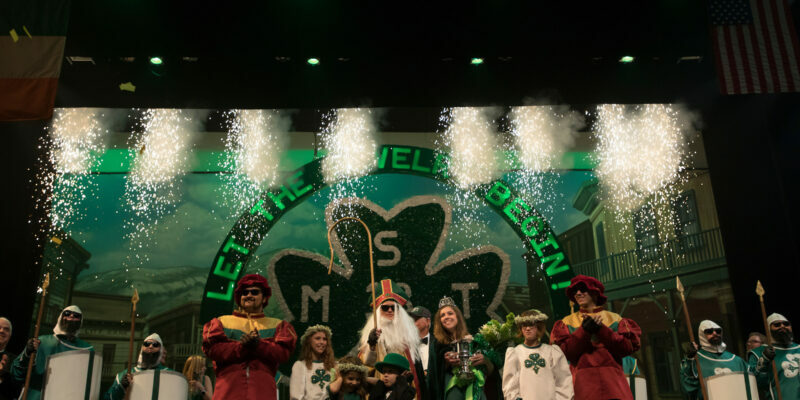 The Student Knights of St. Patrick have been selected to represent Missouri University of Science and Technology’s student organizations during the 111th St. Pat’s celebration in Rolla, Missouri. The Missouri S&T Miner swimming team will offer swimming lessons to area children this spring. The classes will be held Monday, April 1, through Thursday, April 11, at the Missouri S&T swimming pool in the Gale Bullman Building, located at 10thStreet and Bishop Avenue in Rolla. The fee for the program is $85. Missouri University of Science and Technology will conduct a test of its emergency mass notification system at noon Wednesday, March 6. 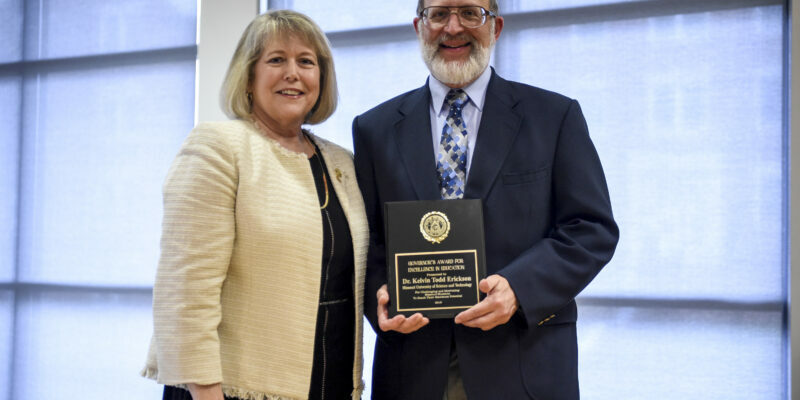 Dr. Nord Gale, Curators’ Distinguished Teaching Professor emeritus and the founding chair of biological sciences at Missouri S&T, died Friday, Feb. 1. He was 80.